Yumiko was born in Japan but has made a life in London, losing herself in its cosmopolitan bustle. She has a gallery show of her art, a good job, and a good guy she plans to marry. The culture she grew up in seems very far away—until her brother phones with the news that their father has died. Yumiko returns to Tokyo and finds herself immersed in the rituals of death while also plunged into the rituals of life—fish bars, bullet trains, pagodas—as she confronts the question of where her future really lies. 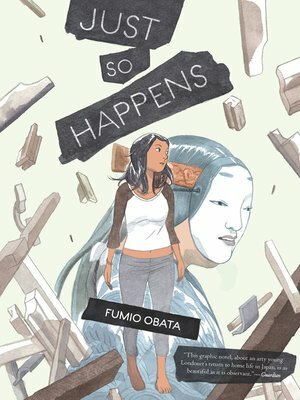 Just So Happens deals both gently and powerfully with grief, identity, and the pressure not to disappoint one's parents, even after they're gone, in a look at the relationships that build the foundation of our lives.